Stumped for gift ideas? Have some city lovers on your list? 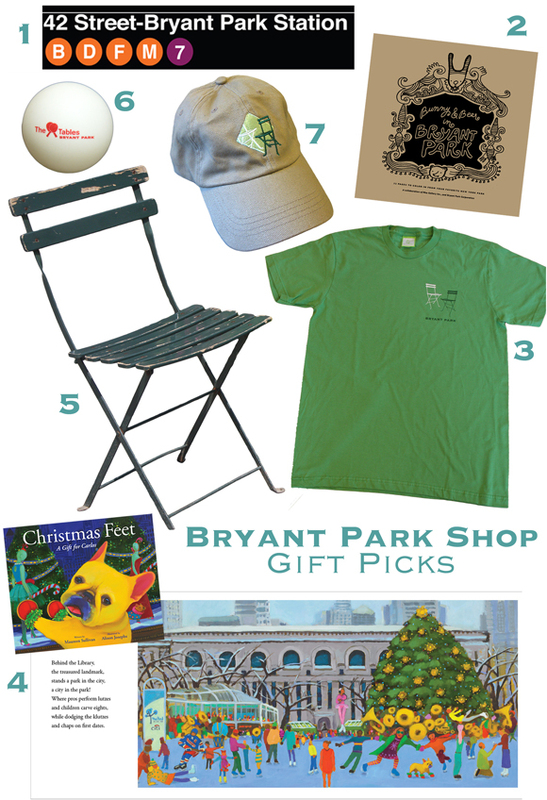 Surprise your friends and family with New York themed gifts from The Bryant Park Shop. You'll find everything from our signature park chairs, hats, and t-shirts to custom ping pong balls, NYC subway signs, and children's coloring and story books set in the park. Some items come with free shipping, so don't fear if you've got your eye set on the park bistro chairs.